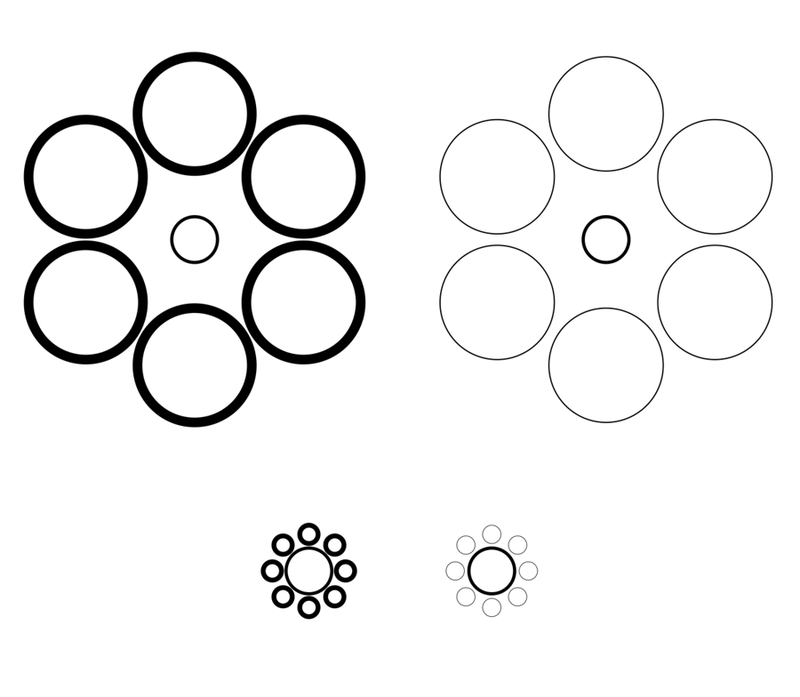 In each row, the right circle surrounded by thinner circles appears to be thicker than the left circle surrounded by thicker circles, though they are the same in thickness. Letters are aligned vertically or horizontally, but F and L appears to tilt counterclockwise while I and E clockwise. 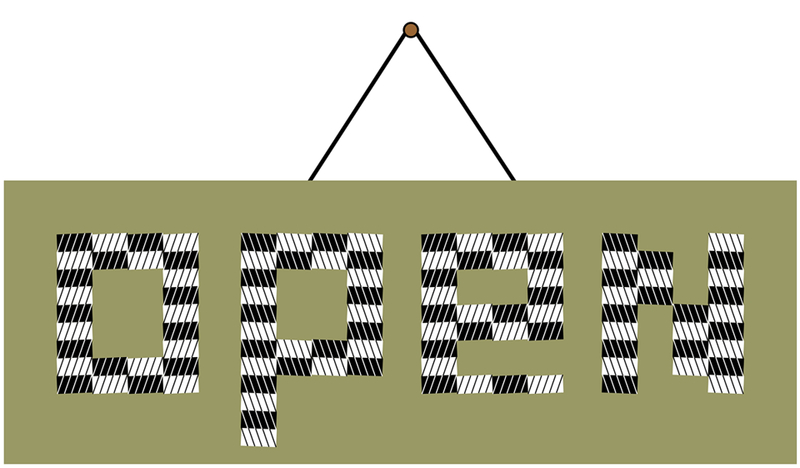 Letters are aligned vertically or horizontally, but o and e appears to tilt counterclockwise while p and n clockwise. 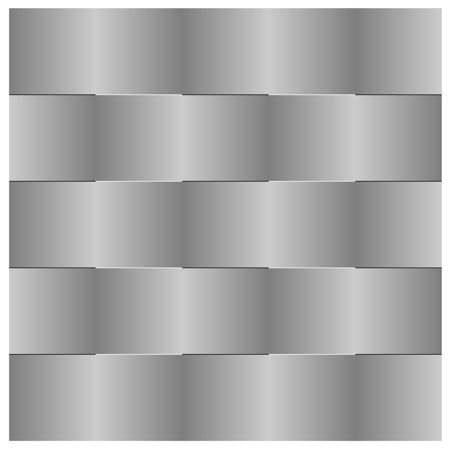 Vertical or horizontal gray lines appear to tilt. Horizontal rows of kawara senbei appear to tilt counterclockwise. 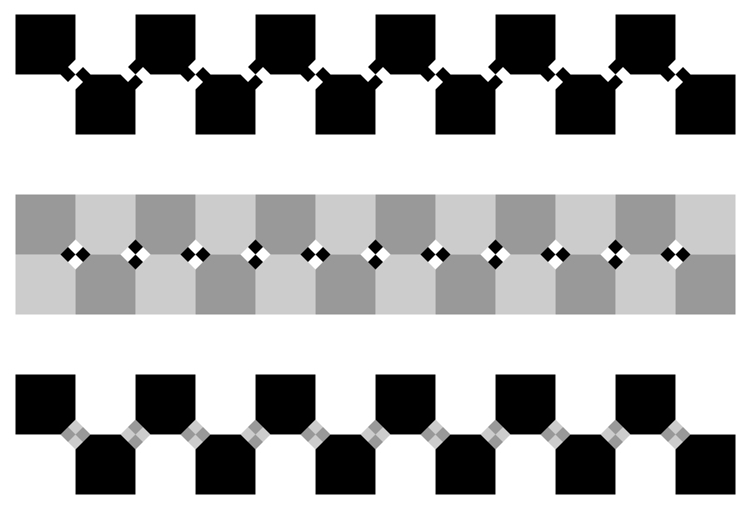 Horizontal rows of black and white stripes appear to tilt alternately. 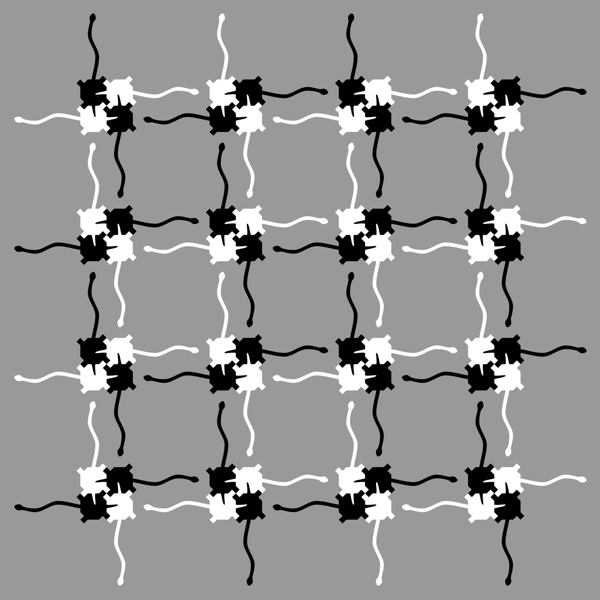 The uppermost row appears to tilt clockwise. 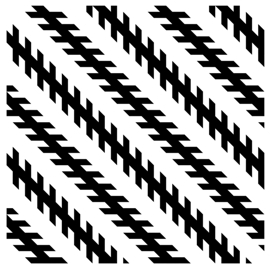 This is a vatiation of the Montalvo illusion (Lavatory Wall illusion). 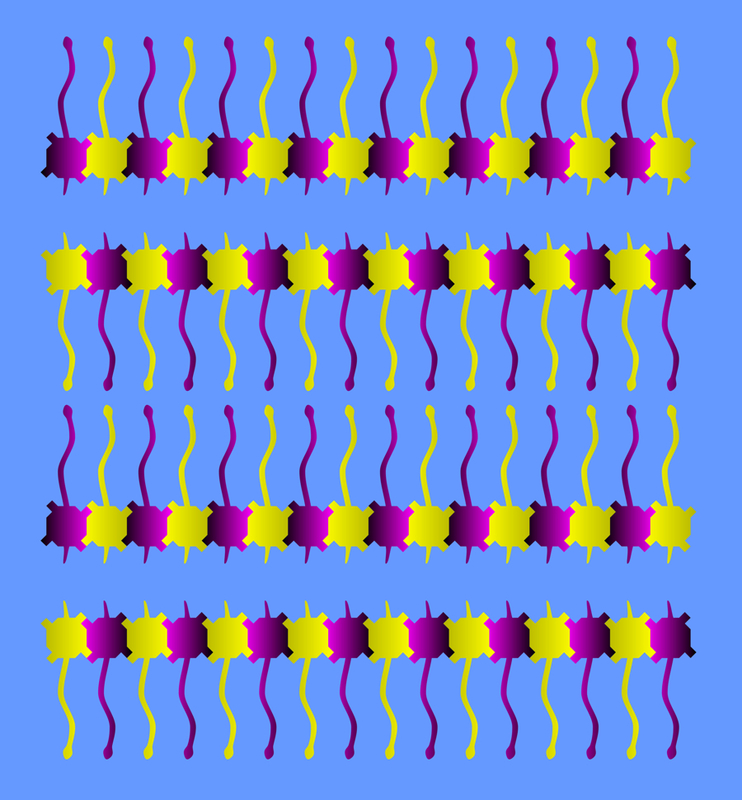 Horizontal rows appear to tilt alternately (illusion of fringed edges) and move horrizontally (optimized Fraser-Wilcox illusion Type I). 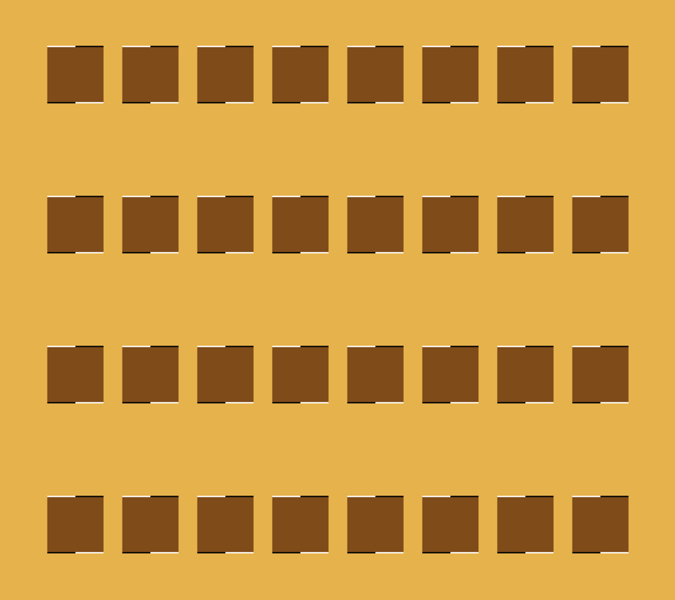 Vertical rows as well as horizontal rows appear to tilt counterclockwise. 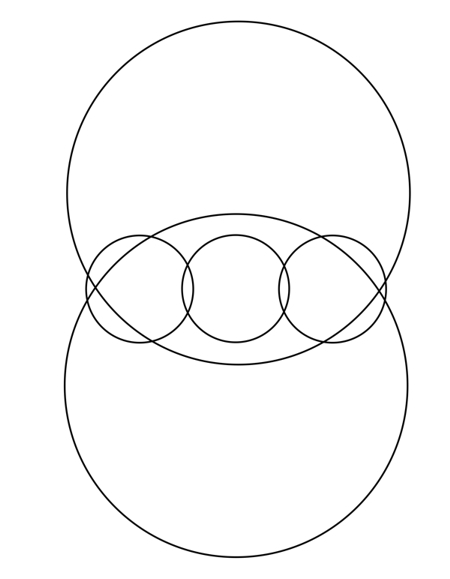 Circles of the same size appear to be different in size. The leftmost, the middle and the rightmost circles appear to be larger than the rest. 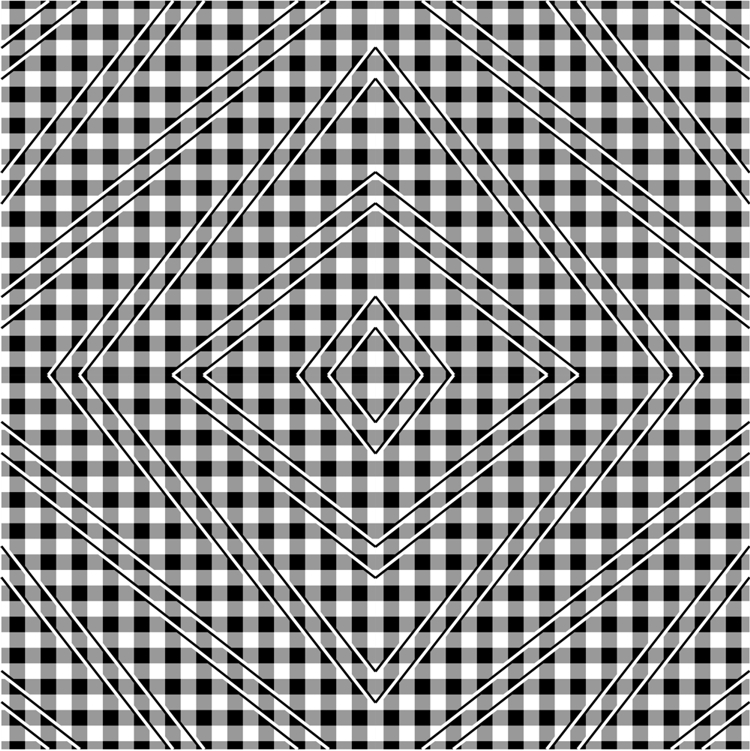 Diamond shapes appear to be distorted according to the Fraser illusion. 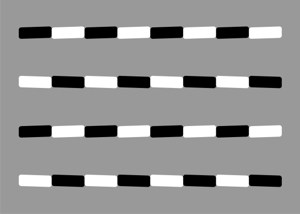 The three circles in a row in the center are of the same size, but the middle one appears to be smaller than the rest. The uppermost line of the left wall is aligned with the lowermost line of the right wall, but the former appears to be placed upper than the latter. 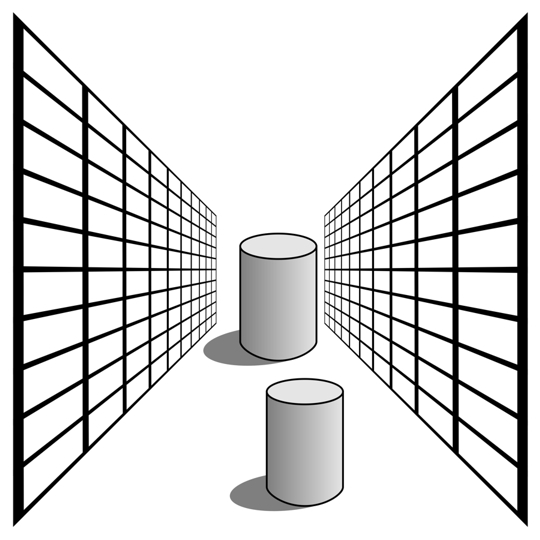 In the same way, the uppermost line of the right wall is aligned with the lowermost line of the left wall, but the former appears to be placed upper than the latter. 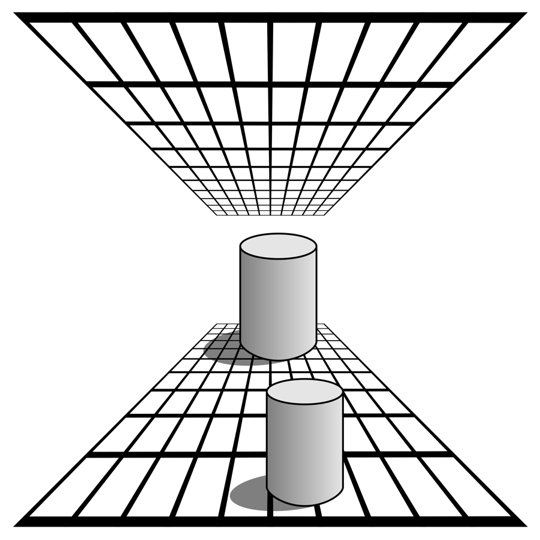 In addition, the cylinder in front appears to be smaller than the other though they are teh same size (corridor illusion). 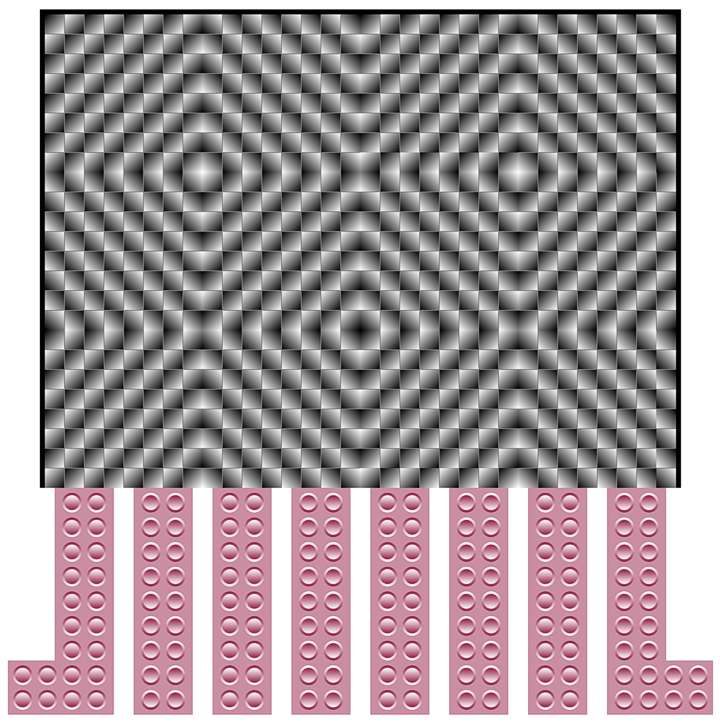 The distortion is reversed if perspective patterns are given to the ceiling and floor.